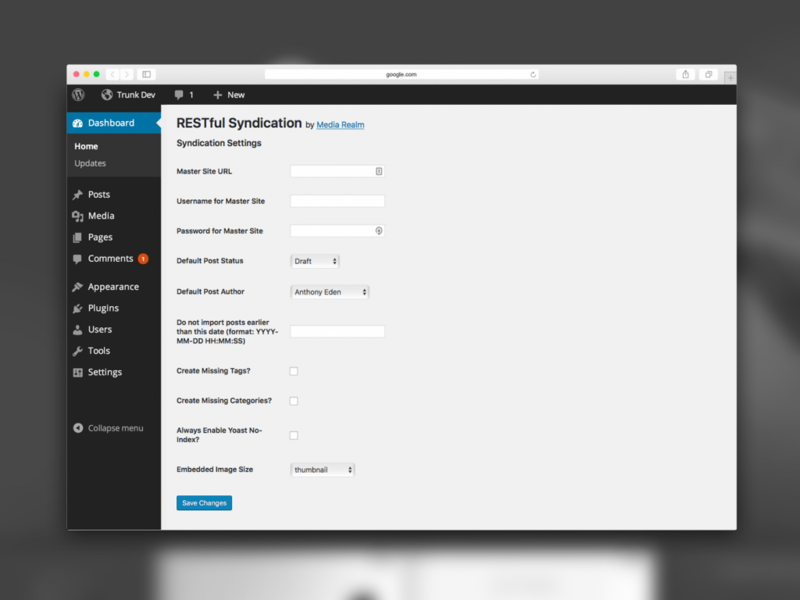 RESTful Content Syndication is a WordPress plugin designed to syndicate posts from one master WordPress website, to multiple child sites. This is perfect for those running a network of WordPress content websites. Under the hood, this plugin uses the WordPress REST API to pull content from the master site. Thus, no additional software or configuration is required on the master site. Featured images, and embedded images, are automatically downloaded from the master site and saved in the child site’s Media Library. You can download this plugin from the WordPress Plugin Directory.